Any move requires a ton of preparation – from packing and cleaning to setting up new utilities and arranging for your mail to be forwarded. But perhaps the most challenging type of move is a move to an entirely new city. In addition to dealing with the normal moving concerns, families relocating to a new city find themselves facing all kinds of extra moving-related quandaries: Where will the kids go to school? Which neighborhood is the best fit? What do people do for fun? If you’re planning a move to a new city, it’s easy to feel overwhelmed. But no worries: with a little planning and research, you can take the uncertainty out of a big move. Not sure where to start? Check out this list of ways to make sure that your family chooses the community that feels like home. You’ve found the perfect house in a neighborhood that seems ideal. But things aren’t always what they seem – especially if you’ve only visited the area with your real estate agent. 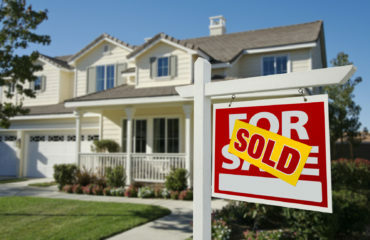 Before you close on your dream house, make sure the neighborhood as a whole suits you. While you don’t have to be best friends with all of your neighbors, you do have to make sure that you and your family will be happy there long-term. Drive around during different times of day. If you find a neighborhood that you think you love, don’t just visit at high noon when everyone is away at school or work. Visit at dusk, when the kids are bicycling around before dinnertime. Another good time to drive by? The early morning. This will give you a good feel for the morning rush hour. Ask for directions. It might sound silly, but it’s a good idea to stop someone – a jogger or a person working in their yard – and ask for simple directions around the neighborhood. See how they react. Are your soon-to-be neighbors friendly and knowledgeable about the area? Do you get the feeling that the community is closely knit? Does the neighborhood, in general, have a friendly vibe? You might even explain that you’re considering buying a home in the area. You might be surprised what sorts of useful info you’ll turn up. Friendly neighbors can help you get a feel for your new city. Take a walk. Don’t limit yourself to driving. Find a place to park the car and walk around. Pay attention to your surroundings, and ask yourself: Could you see yourself living there? Does the ambiance of the neighborhood suit you? Traveling on foot will help you see the neighborhood from the perspective of a local, not as someone passing through. Schools. You’ll want to see the neighborhood-zoned schools, both public and private options. Ask questions, and do some “homework” of your own: Look at factors like test scores, graduation rates, extracurricular activities, athletics, and the faculty and staff. If possible, bring your child along for the visit, or bring a friend or family member whose feedback you trust. Have a younger child at home? Make sure you visit daycare facilities, too. Community facilities. Your mother-in-law likes to play cards at senior centers. You want to find a good yoga studio. Your kids want to know if there’s a skate park nearby. It’s well worth it to see what other amenities surround the community. Don’t forget about government offices such as the department of motor vehicles or the post office. Medical facilities. Ever been somewhere and suddenly realized there’s no hospital, not even an urgent care facility, for miles around? If easy access to medical facilities is a family priority, don’t forget to check around for the closest hospitals, pharmacies and even a doctor’s office that you’ve heard good things about, perhaps from your new neighbors. Entertainment and lifestyle options. This might not be the most crucial point on your moving checklist, but if there’s not a decent grocery store or shopping center near your new home, you might want to reconsider whether your family members will be happy in the area. Visit picketreport.com. Nothing beats exploring your possible neighborhood first-hand, but this useful website will give you a ton of data about the area that might be hard to come by otherwise, like crime rates and average household income. Picketreport.com also has fun stuff, like lists of nearby movie theaters. With a little preparation, your move to a new city can be a more of a search-and-discover adventure than a daunting task. Although it’s important to let your instincts be your guide when it comes to finding where you and your family belong, there’s nothing wrong with a little old-fashioned research. What are some of your must-do items before moving to a new area? Have you come across some great resources that you can share to help others? Leave a comment and let us know! Jessica Johnson obtained her Bachelor’s Degree in marketing, and is now Marketing Director for Extra Space Storage. Jessica oversees all of the company’s social media profiles and is in charge of all brand marketing efforts. Among the many Texas facilities used by customers to store their extra stuff is Houston self storage location.